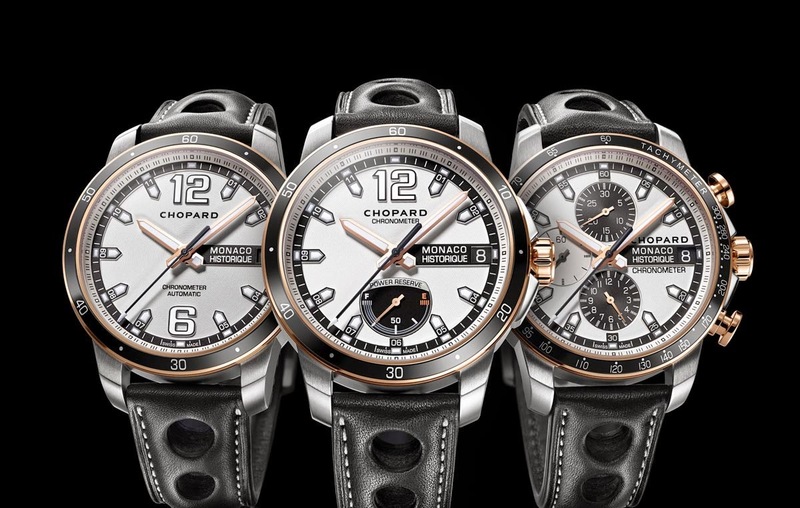 The Grand Prix de Monaco Historique collection from Chopard is composed of three models - the Automatic, the Power Control with a power-reserve indicator placed at 6 o’clock, and the Chronograph. 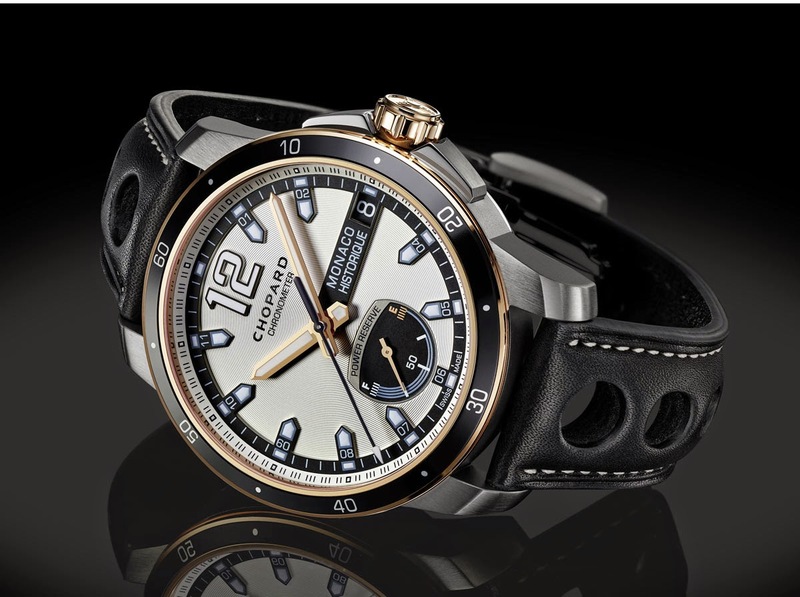 While maintaining a strong association with the racing world, each of them is also available in a dressier and more precious rose gold, titanium and steel interpretation that we show in this page. 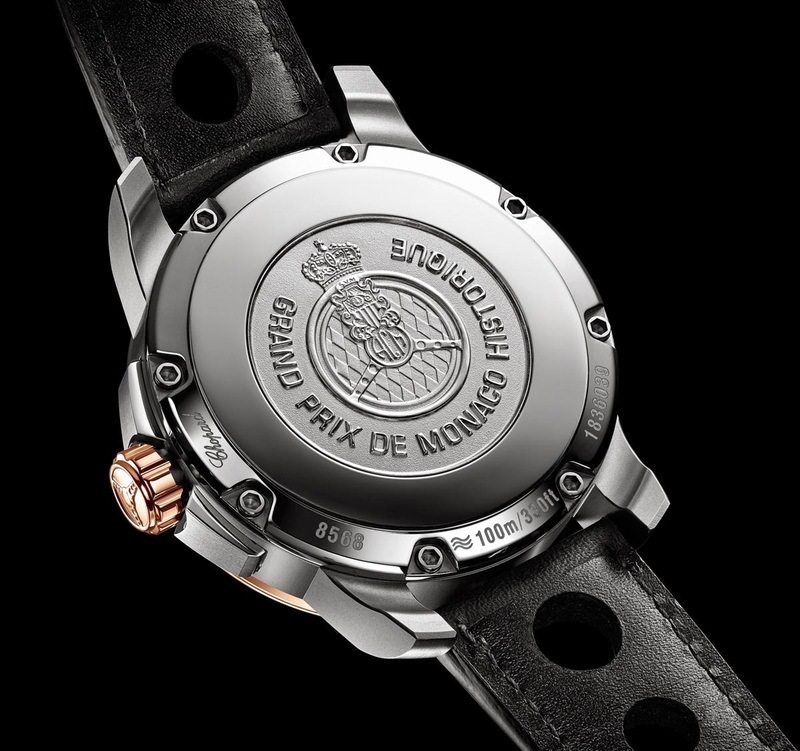 The three models share the same 44.5 mm titanium case with a case-back made of steel and engraved with the Automobile Club de Monaco logo (steel is easier to engrave than titanium). The warm and elegant tones of rose gold clothe the hands, bezels and crowns of the Grand Prix de Monaco Automatic, Power Control and Chrono versions. The pushers on the latter version are also in rose gold and the same colour is picked up on the ecru top stitching of the black barenia calfskin strap. The silver grey dial features a grooved and snailed surface with raised oversized Arabic numerals and/or hour markers. 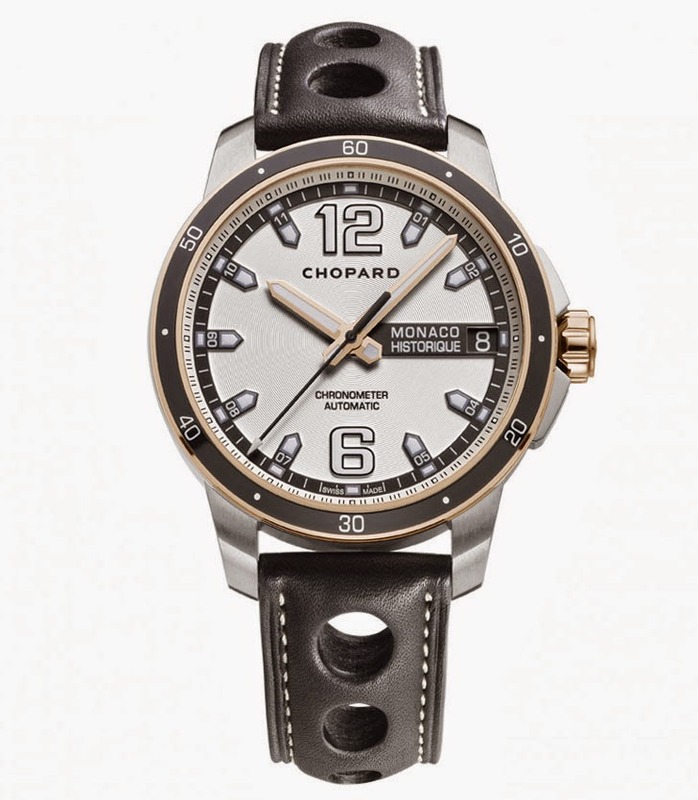 Chopard Grand Prix de Monaco Historique Collection. 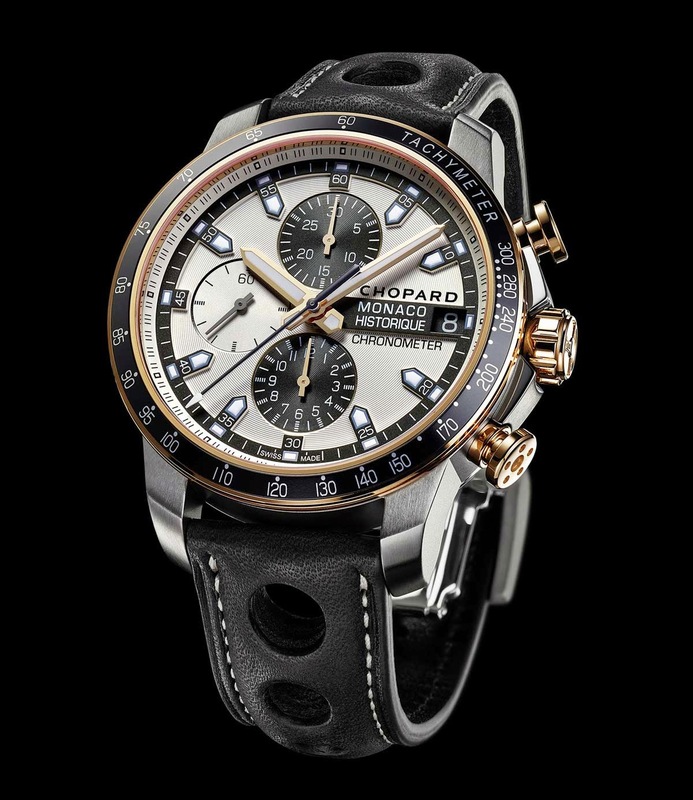 The Grand Prix de Monaco Historique collection from Chopard is composed of three models - the Automatic, the Power Control with a power-reserve indicator placed at 6 o’clock, and the Chronograph. 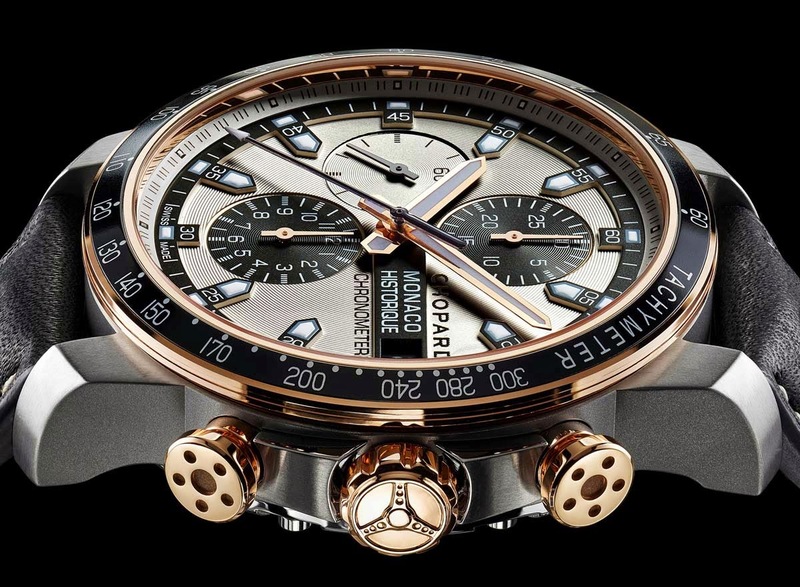 While maintaining a strong association with the racing world, each of them is also available in a dressier and more precious rose gold, titanium and steel interpretation.